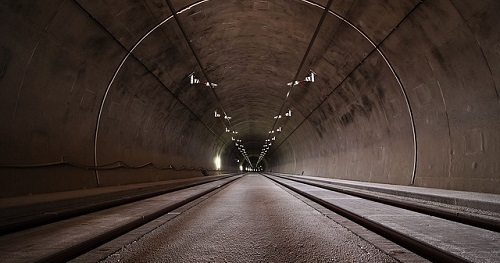 Tunneling, also called barrier penetration, in physics, passage of minute particles through seemingly impassable force barriers. The phenomenon first drew attention in the case of alpha decay, in which alpha particles (nuclei of helium atoms) escape from certain radioactive atomic nuclei. Because nuclear constituents are held together by a force that the alpha particles have insufficient energy to overcome, their tunneling is contrary to the conventional understanding of classical physics and requires instead explanation in terms of quantum mechanics. There are currently no items matching "Tunneling".